Surprisingly though, work is the one thing we spend least time on investing in. And I do not mean tactical time IN the job. We are all overworked, no doubt about it. What I mean, is strategic time ON our careers, i.e. understanding what is happening, where we want to go (direction) and how to make it happen. We somehow leave that part of our lives in the hope that our employer will “promote us if we do well”. But a promotion may not even be what we wanted. Plus, it is not within the employer’s interest nor ability to do this! Why do we expect them to know us better than we do ourselves? It helps to know what we want, if we are to nudge them to support us! Assuming they are willing of course! Think of your career as a relationship. How can we expect a relationship to succeed, if we do not know ourselves and what we want, nor spend time with our partner (in this case employer!) to communicate? What has become apparent to me is that we only focus on the physical outcomes of our careers: the position, the money, the company, the industry and the promotions or bonuses. This is all fantastic! The fruits of our labour must be celebrated! What we also need to be aware of is the INNER game of our career. This is the ROOT of where the physical career outcomes stem from. In sports, physical outcomes are the wins, the medals, the commercials and sponsorships. Yes, these are the results from the practice hours that athletes put in, and the continuous and meticulous refinement or their technique. But also the hours they spend in the arena/stadium, competing and understanding how they stand in the “market place” of other top world athletes. For this they do not compete only physically (money, company, position, expertise in career terms). They compete on the mindset front (spirit, emotional and mental fitness to play the long haul game in career). 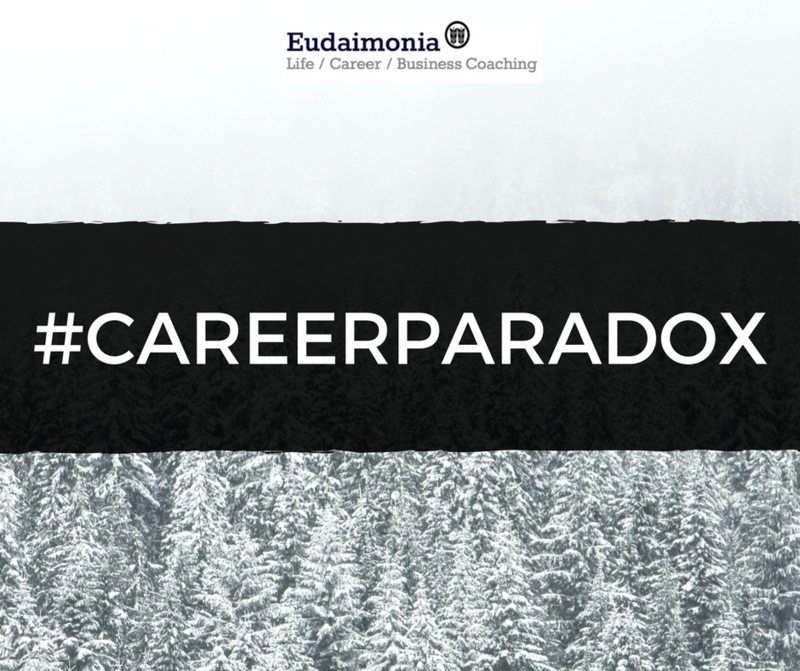 Do not pin your career hopes solely on your employer’s discretion. It hurts me to see this Career Paradox recurring. Invest in yourself and help your employer be part of your career vision/journey.